As an extension of Chapter 7, which recounted my fine-dining experience at the California Grill, I have been reposting related information from various sources. 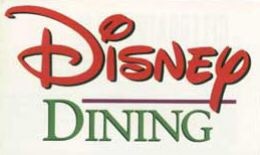 This post from disneyquestions.com offers information regarding their top 10 restaurants at Walt Disney World designed more for adult guests. Although I enjoy the various family oriented, Disney themed restaurants, The Mature Mouse appreciates the occasional fine-dining experiences.